Here’s some hard truth: we have several months before the warm weather returns. This makes a lot of us Northwesterners want to plan tropical vacations. But they’re so complicated and expensive. 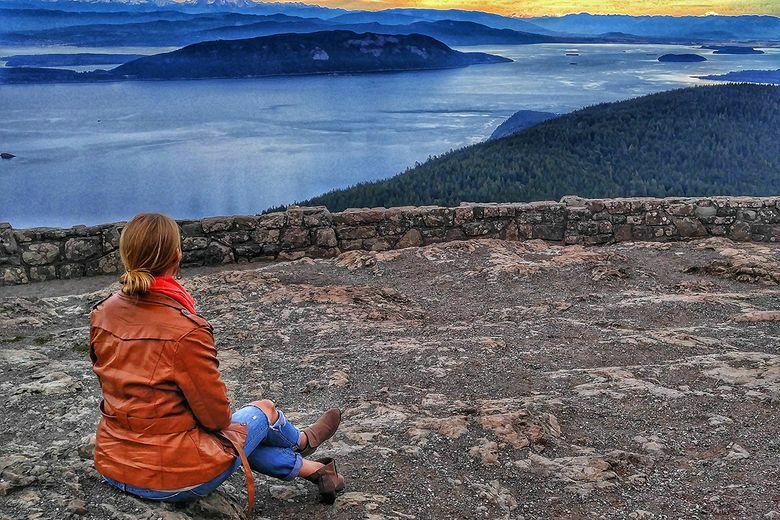 Why not take advantage of one of your favorite summertime spots, Orcas Island, in the winter? That’s right, wintertime in the San Juans is blissfully quiet, and the perfect place for some rest and rejuvenation. Here are some tips for enjoying your cold-season trip. First, get outside. Yes, you’ll need your fleece, raincoat, hat, warm socks, boots, etc. You know, it’s the usual Northwest dress code – layers. Once you’re geared up, take a hike on one of the island’s many trails. One of the more popular routes is to the top of the 2,409-foot Mount Constitution – the highest point in the San Juans. The views of the islands and surrounding waters are unparalleled and make for #greatphotos. If you’d like a less-ambitious hike without as much elevation gain, consider the 3-mile loop around Mountain Lake or one of the many trails through Obstruction Pass State Park. Hiking isn’t the only outdoor option. Some tours and adventures stay open for the winter, but they are usually weather dependent so you have to be willing to play it by ear. If the weather cooperates, take a whale watching tour or trail ride on horseback. Second, get inside. You know the best part of being outside on a cold winter’s day? Coming back inside. After a hot bath, it’s time for snacks and hot beverages. Steamed clams and mussels with a pint of local cider? Irish coffee? Don’t worry, Orcas knows how to feed you right. 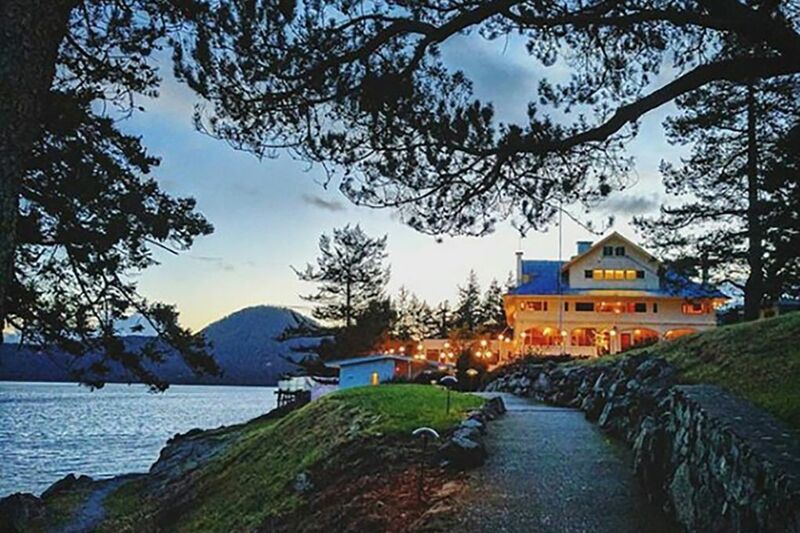 When you’ve finished your comfort food, you can enjoy one of the island’s highlights, Rosario Resort’s History and Music Tour that happens every Saturday at 4 p.m. Seattle shipbuilder and mayor Robert Moran started building the resort as his personal mansion in 1906. At the time, the world was feeling the effects of the industrial revolution, and he wanted to create a place where he could regain his health – physical, mental, and spiritual. The music room includes a giant pipe organ and a Steinway grand piano and walls that are covered with Moran’s photos from around the Pacific Northwest in the early 1900s. Finally, what winter retreat would be complete without a spa treatment? No good one, that’s for sure. Who needs sunshine? It’s overrated. So, pack up your layers, or maybe just a book, and head up to Orcas for some quiet-season rejuvenation. Rosario Resort & Spa is located on Orcas Island, 90 miles north of Seattle. Catch the WA state ferry from Anacortes (reservations available online) or fly to Orcas Island on a floatplane via Kenmore Air.